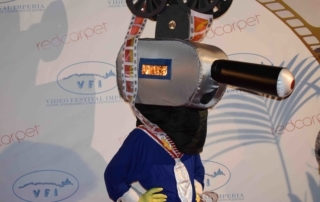 The registrations to the 2019 Edition of Video Festival Imperia are close. We thank all the authors and directors who have registered their works. Dear friends and participants of the Video Festival Imperia, first of all we would like to welcome you on our new website. With the latest design we introduced the opportunity to enroll your works directly online, by filling out the new form and uploading directly on the work site. Obviously, for those who wish, there is always the possibility to download the paper forms and send the registration via traditional mail to the usual address that you find on the registration form. We also decided to avail ourselves of the collaboration of the portals Click for Festival and Festhome, on which you can subscribe to the twelfth edition of the Video Festival Imperia through dedicated account. On the new site however you will find the history of the festival told by the press for years and divided by many other old and new content. 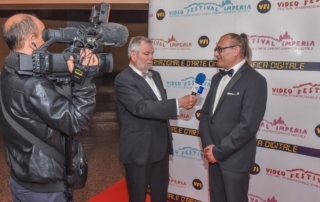 Video Festival Imperia is not only an independent film competition, but over the years it added the “Quality Television” section. 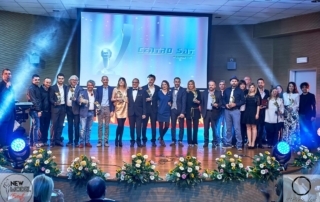 During the awards ceremony of the Grand Gala, we lunch our traditional Red Carpet parede alongside the protagonists of the best TV shows drawn from the schedules of the national networks. 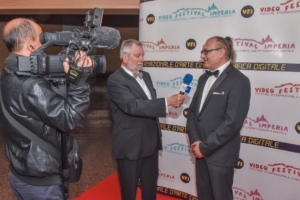 We invite you to learn more about the Video Festival Imperia through the video content and photographs that we decided to publish on this page. A great festival, a great showcase for the works of the professionals but also for amateurs, national and international. Our sections devoted to full-lenght movies, short films, documentaries, animation, video clip, the section dedicated to schools and Explorer category tourist and naturalistic await you! 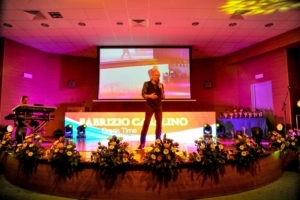 The Festival will take place from Tuesday 8 to Saturday, May 12 2018 press the Auditorium of the Chamber of Commerce of Imperia. For all the finalists, Video Festival Imperia will welcome you in a manner worthy of the major film festivals. 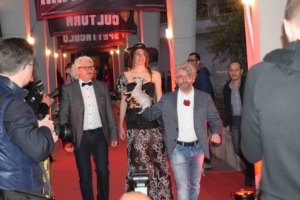 For the final evening is expected the construction of a real red carpet. All winners will be able to walk the Red Carpet and be photographed and interviewed by the media accredited. It will set up a special backdrop for interviews and photos. 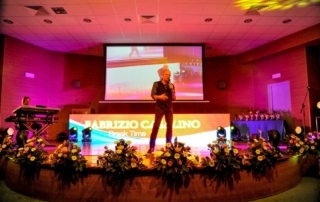 The gala evening will be lightened and enlivened by the presence of guests and an exciting show! Look at the images of the eleventh edition below. 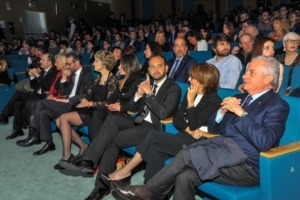 Video Festival is sponsored by major institutions of Italy. As evidence of the importance of this competition, even the President of the Italian Republic has attributed his Medal of Representation at the Festival.